Posted by Stuart Herbert on December 5th, 2007 in Merthyr Road, Photos. It might be a long way from Merthyr Road, but the sea front between Swansea and Mumbles is just as historically important. It is the site of the world’s first passenger railway service, just three years after Richard Trevithick started the ball rolling with the world’s first steam-powered railway journey. Unfortunately, there’s nothing left of the railway today. It was dismantled in 1960. 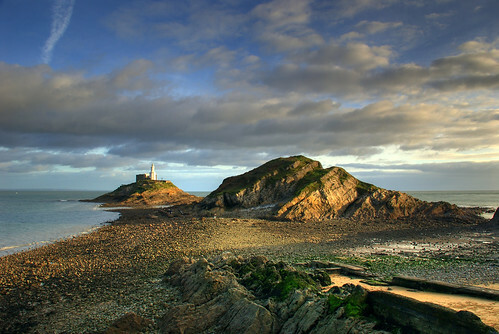 But at the end of the route stands Mumbles Pier, and from the end of the pier I took this lovely shot of Mumbles Lighthouse at the end of the bay.